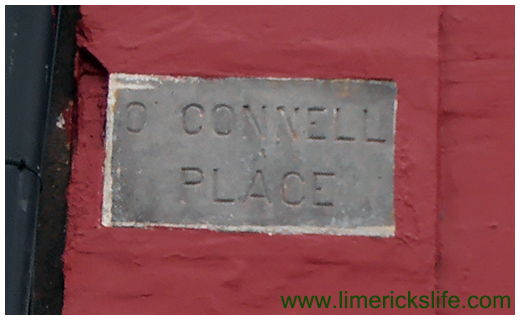 Below you will find 10 historic street signs that still exist within the street-scape of Limerick City today. While only 10 are listed here, there are many more of them in the city. 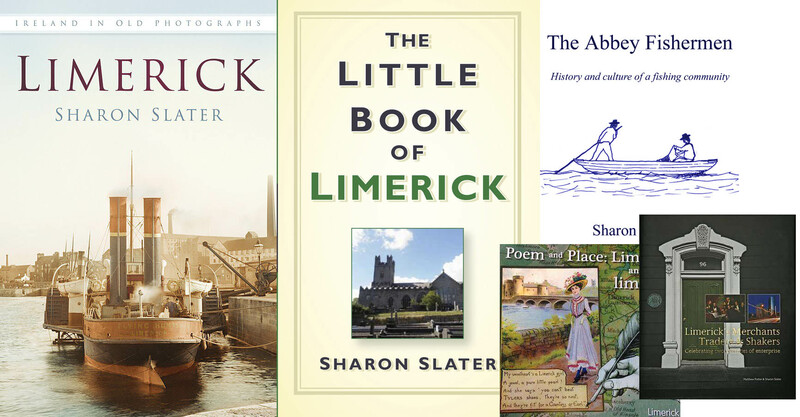 It is evident through Limericks practice of preserving the past that they wish to bring life to its history. 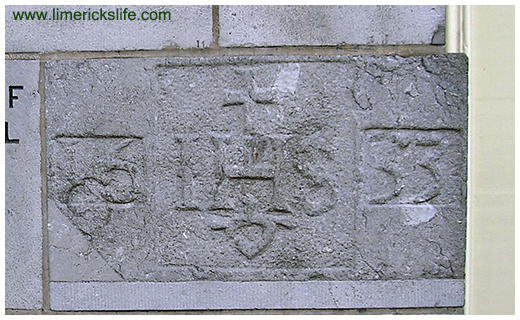 This is the foundation block from the Augustinian Friary at Fish Lane, 1633, which is now situated on O’Connell Street built into the wall of the Augustinian Church. 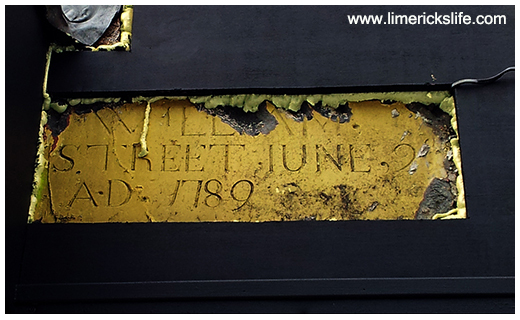 The William Street Sign, 1789, was recently revealed after many years of remaining hidden behind a bakery sign on a building located at the corner of William Street and Wickham Street. 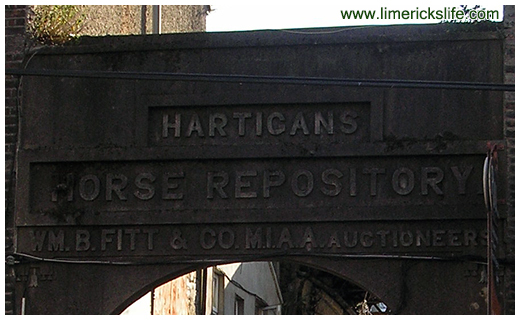 Hartigans Horse Repository Sign, erected in approximately 1913 with the addition of William the Fitt, can be found on Cecil Street. Michael Hartican’s Horse Repository was at this location from at least 1856. 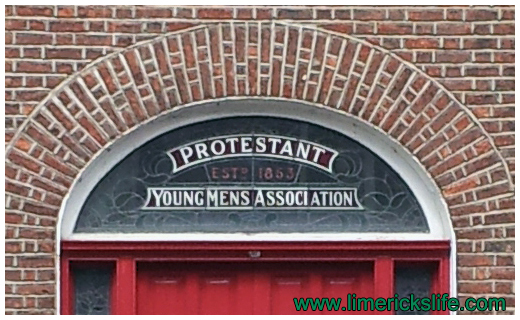 The Protestant Young Mens Association, 1863, located on O’Connell Street. Another example of this style of glass work can be seen on Lower Cecil Street at the St. Michaels Society. 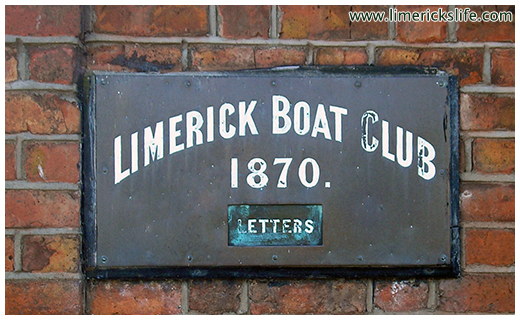 Limerick Boat Club, 1870, located off Sarsfield Bridge. 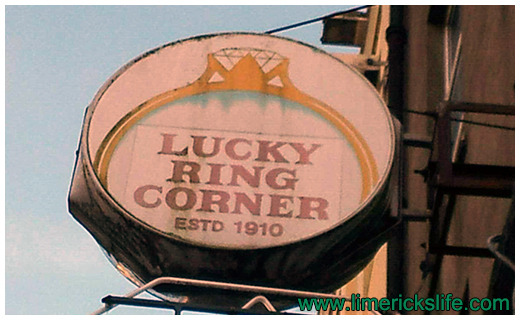 Lucky Ring Corner, 1910, located on the corner of O’Connell Street and Cecil Street. This sign for O’Connell Place, named for the building it is attached to, is located on Catherine Street. The building is named after Coleman O’Connell, who had a public house here from at least 1879 to 1891. 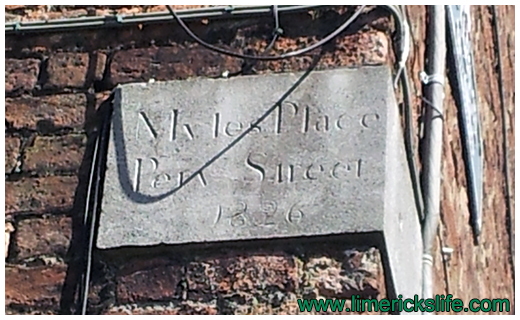 This sign, from 1702, can be found on Mary Street in Limerick. 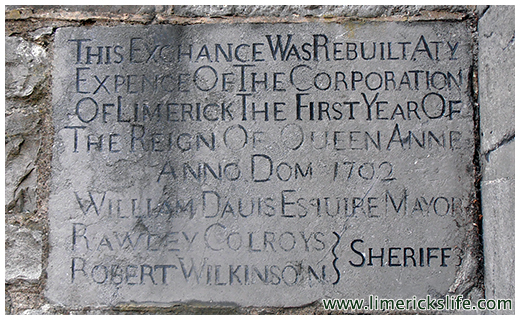 It reads “This Exchance Was Rebuilt At Y Expence Of The Corporation of Limerick the First Year Of The Reign Of Queen Anne Anno Dom 1702. 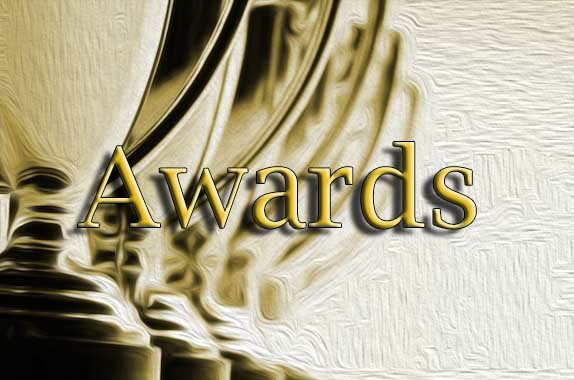 William Dauis Esquire Mayor, Rawley Colroys Robert Wilkinson – Sheriff. This sign, from 1920, is situated on Thomas Street in Limerick. 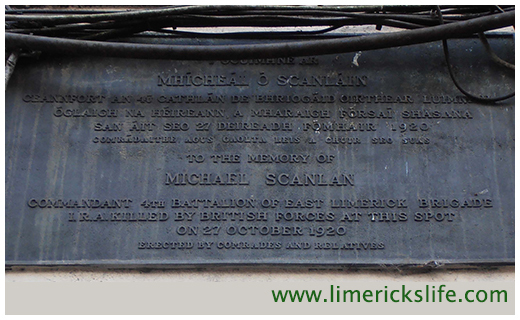 It reads both in English and Irish “To the memory of Michael Scanlan Commandant 4th Battalion of East Limerick Brigade I.R.A. Killed by British Forces at this spot on 27 October 1920. Erected by Comrades and Relatives“.